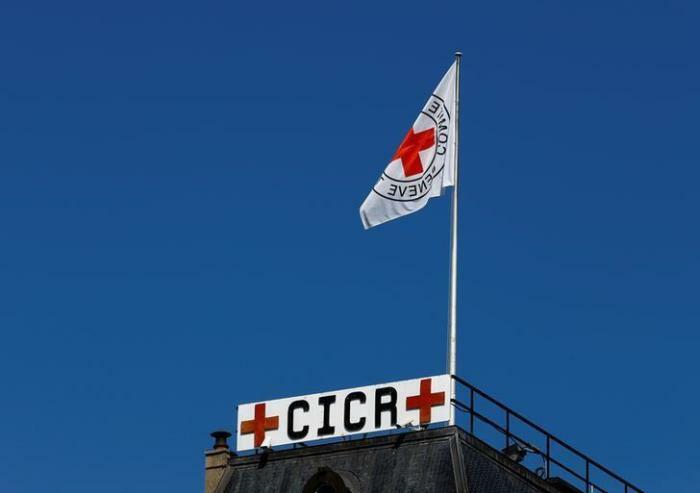 The Belgian branches of the Red Cross have been told they must remove the organization's iconic red crosses from building walls amid concerns that the Christian symbol will offend non-Christians. Breitbart News reported Monday on a translation of a 7sur7 article where André Rouffart, president of the Red Cross in Verviers, reveals that the Belgian branches were asked by the Provincial Committee of the Red Cross in Liège to "respect the principles of the Red Cross" of religious neutrality and remove the cross because it might offend Muslims. The Red Cross was founded in the 19th century by Jean-Henry Dunant, a devout Christian who was also part of the creation of the Young Men's Christian Association. Today the International Federation of Red Cross and Red Crescent Societies states that it provides disaster and health emergency relief to vulnerable people "without discrimination as to nationality, race, religious beliefs, class or political opinions." It also states that it follows the principle of neutrality, which does not allow it to "take sides in hostilities or engage at any time in controversies of a political, racial, religious or ideological nature." Volunteers and members have been pushing back against the decision to remove the crosses from buildings, however. TruNews shared one translation from an aid worker who reportedly said: "Let things be as they are. We said Christmas holidays, now winter holidays. The Christmas market in Brussels has become the Winter Pleasures." "For a certain part of the population — because of the Muslims — the crosses were removed in the Red Cross houses and, more particularly, in that of Verviers," the aid worker added. Rouffart has argued that the pushback is a "tempest in a teacup," however, in an attempt to dismiss concerns. The Decline of Christianity across Western Europe continues to be widely reported, though some incidents, such as a French court decision in October to remove a giant cross atop a statue of Pope Saint John Paul II, have sparked protests and backlash. Close to 350 people came out to protest in Ploermel against the decision that deemed the cross to be a violation of church-state separation laws, organizing under the banner of "Don't touch my cross." Some of the protesters held up signs such as "Stop Christianophobia" in French, though the social conservative and French nationalist party Debout la France party was also in attendance. "[Secularism] is not to cut the roots of our country," Dupont-Aignan, the founder and president of the Debout la France, said at the event. "Why the state council on the one hand authorizes the burkini and on the other wants to destroy the cross?" Beata Szydło, prime minister of Poland, where John Paul II was from, separately offered to take the statue and "save it from censorship." Szydło called out the "dictates of political correctness" and the "secularization of the state," which she accused of promoting "values which are alien to our culture, which leads to terrorizing Europeans in their everyday life."